It’s not easy to talk to men who we know or suspect are using abusive behaviour. But to remain silent is to collude in the behaviour. These resources help us to think about how to reach out to men when they are hurting their spouses and/or their children in a way that is safe and helpful. This resources offers information about why it is important to talk to men who we know or suspect are using abusive behaviour and tips on how have those conversations safely. 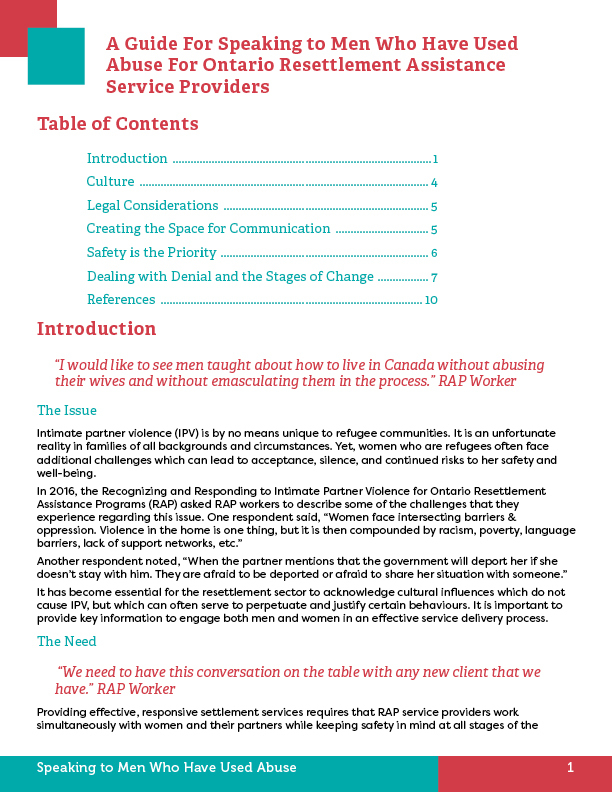 Many myths exist about intimate partner violence in refugee families. 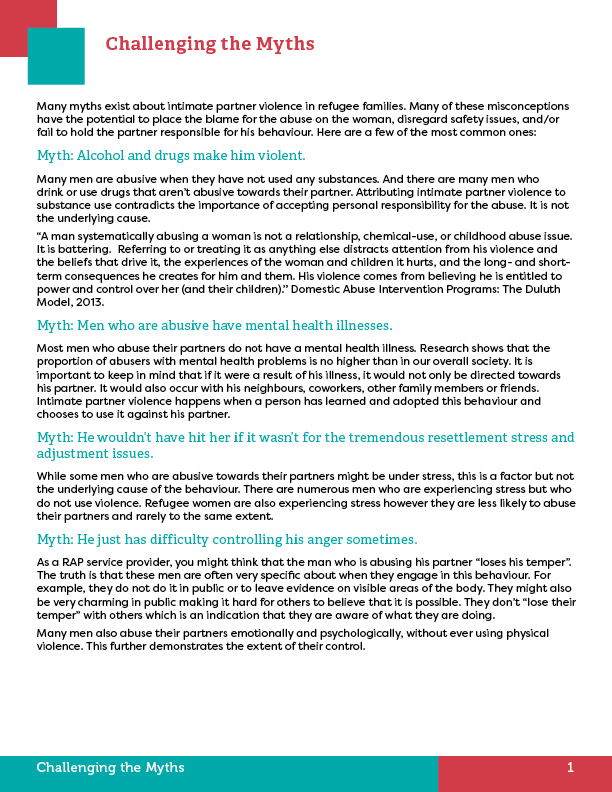 Many of these misconceptions have the potential to place the blame for the abuse on the woman, disregard safety issues, and/or fail to hold the partner responsible for his behaviour. This resource explains a few of the most common ones.